Electric Single Oven is rated 4.9 out of 5 by 11. Rated 5 out of 5 by Hahnie24 from Pefect replacment for old Chef Oven I bought the Chef oven after my old oven died. I ordered it 10pm Tue night and it was delivered by 2pm the next day, installed that arvo. So easy to use, I love the molded inside, less cleaning, the oven looks great too. A perfect fit replacing my old chef. I would happily buy this product again, great price, easy cooking. Rated 4 out of 5 by Cherripai from Good but the seals... This oven is good. It's everything I wanted. The only problem I have is with its seals. The seals are only adhered in the corners. When I queried this they said it's normal. I don't like how all the sides are just flappy. And it won't let me upload a photo. Rated 5 out of 5 by Lesley from FANTASTIC I am so happy with my new Chef oven I love baking and it has lived up to all my expectations it's fabulous. 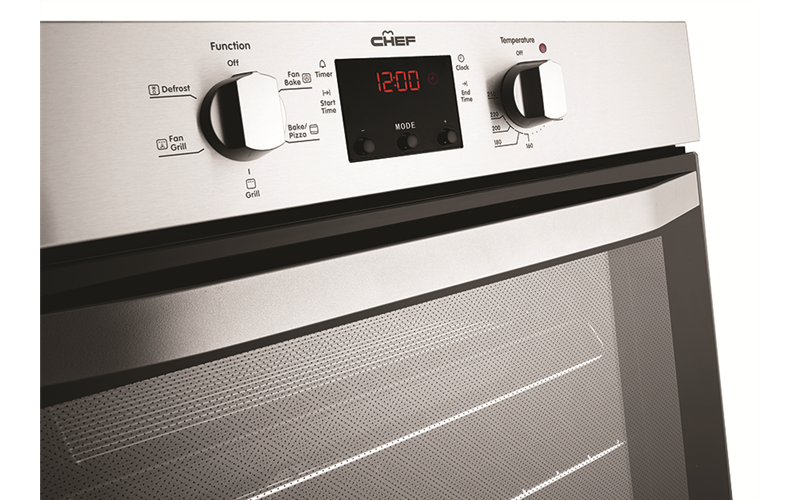 I would recommend this oven to anyone who is particular with their appliances. Rated 5 out of 5 by Lombax from Great little unit ! Been in operation for about a month and no problems. Great little unit, lightweight and easy to install. Rated 5 out of 5 by Anthony from Really impressed with functionality of unit I have only used the unit a couple of times so far and am really happy with the operation. 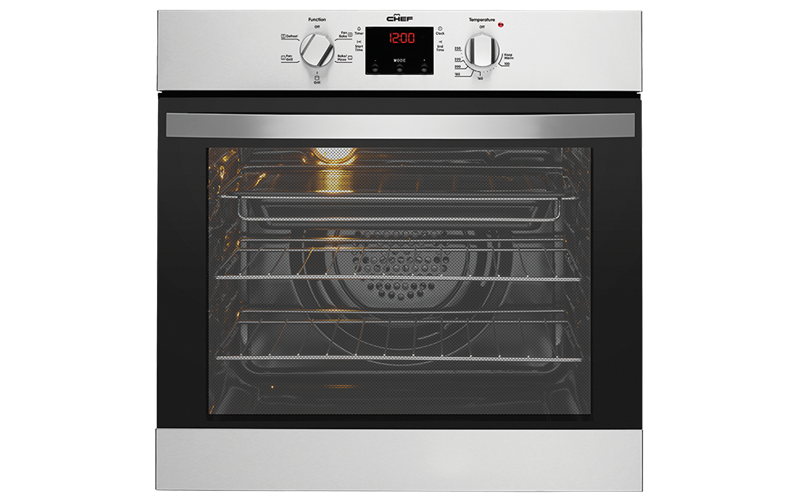 Rated 5 out of 5 by Cornelius_R from Easy to use Nice, plain easy to use and clean oven. Free delivery and service was excellent.